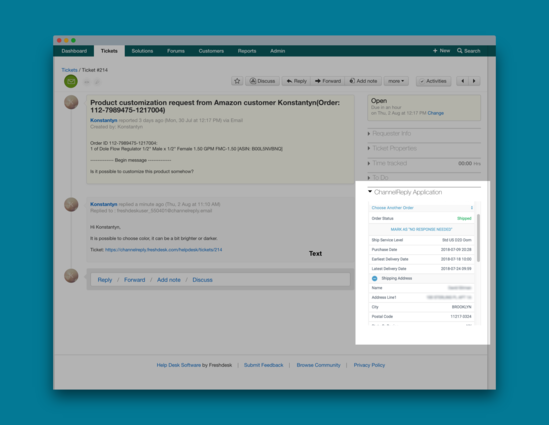 ChannelReply lets you manage eBay and Amazon messages as threaded Freshdesk tickets, with additional info from marketplace. Wish you could handle all your marketplace messages on one screen? 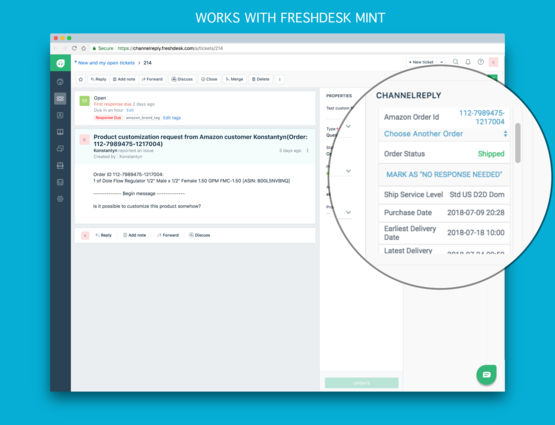 The ChannelReply app integrates eBay and Amazon with Freshdesk. Spend less time on support and more time selling! 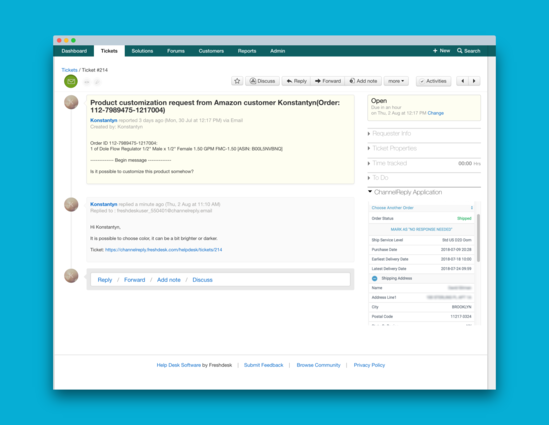 Get eBay messages as threaded Freshdesk tickets, complete with details about the customer, their order, and the listing in question. As an added bonus, you won’t need to share your eBay login with your employees anymore, since they’ll be able to handle support from their Freshdesk agent account. The largest marketplace on the Web can also be the largest source of time-consuming support tickets. 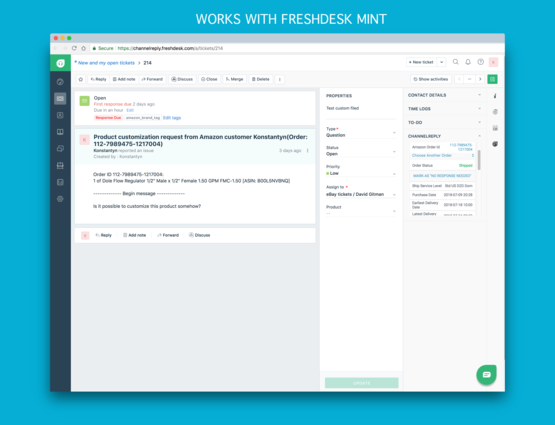 Use ChannelReply to integrate Amazon with Freshdesk, and use all of your favorite helpdesk’s powerful features to answer tickets in the blink of an eye. Time and customers are the two most viable assets of any business. Combine Freshdesk with ChannelReply to both save time and provide your customers with better service than ever before! Simply install our app into your Freshdesk instance, then go to www.channelreply.com, create account there and follow setup instructions there. Please not that if you'll need to remove integration after that - you'll need to stop service at www.channelreply.com and remove the application from your Freshdesk instance.